HELSINKI — Bilateral military collaboration between Finland and Sweden could potentially lead to the establishment of a treaty-based defense union between the two nonaligned Nordic states. The military-deepening talks are overshadowed by ever-closer cooperation between both Nordic states and NATO. This growing relationship with the alliance is largely driven by elevated security tensions and unpredictable Russian aggression in the region. Gen. Micael Bydén, supreme commander of the Swedish Armed Forces (SAF), raised the prospect of “friction and confrontation” between Russian and NATO forces in the Baltic Sea area. The “arrival of NATO military assets” to the Baltic Sea region at a time when Russia has exhibited a “willingness to use its military means to reach its political goals” increases the potential for provocation and conflict, Bydén said during a visit to Vilnius, the capital of Lithuania, on Feb. 26, where he met with Lithuanian military chiefs and political leaders. The present scope of talks on Finnish-Swedish enhanced military cooperation restricts a future defense partnership — which would include joint units, combined force operations and the sharing of military infrastructure — to “peacetime”. Political leaders in both countries believe that the present level of ambition could be broadened to deliver a more structured defense union that would include a formalized commitment to come to each other’s aid in the event of hostile attacks on their territories. “A treaty has not been ruled out. The cooperation that exists between Finland and Sweden is solid, but we have a long road ahead of us still,” said Jussi Niinistö, Finland’s defense minister. Sweden’s Ministry of Defence (MoD) is currently examining the legal implications connected to establishing a bilateral defense-deepening agreement with Finland. The review will serve to both identify and remove legal obstacles that impede long-term, effective military collaboration and joint action between the two countries. The outcome of constitutional reviews in Sweden and Finland will determine just how deep military cooperation between the two neighboring states can run in the future, said Peter Hultqvist, Sweden’s defense minister. “There are a number of legal impediments that prohibit closer military cooperation at present. Investigations continue to determine how to change statutes so that an improved basis for shared responsibilities can be established,” said Hultqvist. Political support for a treaty-based defense pact continues to gain momentum in both Sweden and Finland. Matti Vanhanen, a former prime minister in a Center-led government (2003-2010), believes that the establishment of a treaty-based defense union should become a fundamental component in the long-term defense and security apparatus of Finland and Sweden. “I support the school of thought that one must be very precise in respect of questions dealing with war and peace. We can never be sure whether the resources of our neighbor are at our disposal in times of need if our cooperation with Sweden is established on a voluntary basis,” Vanhanen said. A bilateral treaty and defense union, Vanhanen contends, would both provide a viable future solution to overcome uncertainties and create a preprogramed framework to enable utilization of common resources. “In my opinion, a defense union between two countries cannot be functional, or even possible, without having a joint foreign policy. The union should therefore be a genuine union between two nation states,” said Vanhanen, who served as Finnish defense minister in 2003 and as president of the European Council in 2006. The Swedish government needs to “spell out” its long-term objectives for Finnish-Swedish defense cooperation, said Allan Widman, chairman of the Swedish parliament’s Committee on Defence. “For a military union to have depth and meaning, parties must know that it also applies in the event of war,” said Widman. The Liberal Party to which Widman belongs is generally supportive of establishing a treaty-based military union with Finland, regarding such a development as a probable route and launch platform for both countries into NATO. 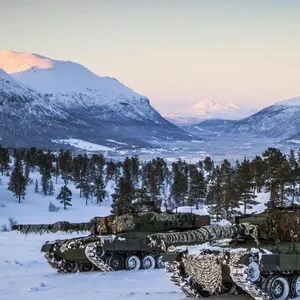 A treaty-based military defense union with Finland is also supported by Sweden’s opposition Moderate Party, which wants Swedish Prime Minister Stefan Löfven’s socialist-green government to create a road map to take Sweden into NATO. “The deteriorating security situation means that we must strengthen our own defense capability, and in close dialogue, preferably with Finland, develop a clear road map for Swedish membership in NATO,” the Moderates said in a joint statement signed by Karin Enström and Hans Wallmark, the party’s defense and foreign affairs spokespersons. Enström served as Sweden’s minister of defense from 2012-2014 under then-Prime Minister Fredrik Reinfeld’s center-right government. 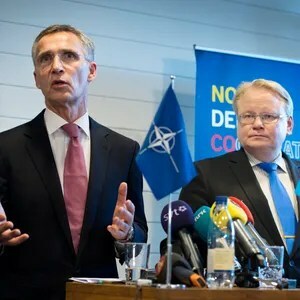 The Moderates believe that proposed legislative amendments to the Host Nation Support agreement with NATO, reached in 2014, still leaves Sweden isolated, vulnerable and without rock-solid guarantees that the alliance will come to the aid of Sweden if attacked. That 2014 “host” agreement facilitated the transport of troops through Sweden only in peacetime. The emphasis was on the participation of NATO forces in military exercises held in Sweden. “Sweden’s host nation agreement with NATO has many advantages but it does not strengthen Sweden’s security and defense capability; not in the way that Sweden’s membership of NATO would in terms of solidarity and military obligations,” Enström said. The amendments sought would allow NATO member states to transport troops and equipment through Sweden for “exercises and training” purposes, not alone during “peacetime periods” but also in times of war and military conflict. The Swedish draft legislative bill, which is currently undergoing a constitutional review by the government’s Council on Legislation (Lagrådet), excludes the transport or deployment of nuclear weapons. The amendments are expected to take effect in the second half of 2016. In the case of Finland, NATO membership should remain a “genuine option,” said Vanhanen, despite the attached risk of unsettling Russia. Finland’s interest in joining NATO will be influenced by Russia’s actions and further aggressive behavior in the region, said Vanhanen. “If Russia continues to upset the stability of our adjoining territories, this will tip the scale not in favor of Russia but in that of NATO,” Vanhanen said. Be the first to comment on "Finland, Sweden Consider Treaty-based Defense Union"